THE WORLD WHO NEEDS A WHEELCHAIR GETS ONE! For over 30 years Whirlwind has been doing just that. and implementing global wheelchair policies and standards. WE DON'T JUST HAND OUT WHEELCHAIRS. Standards for over 30 years. change public policies, attitudes, and barriers to support ethical procurement and provision of wheelchairs to people in need. OUR WPACS ARE ROOTED IN THE LOCAL COMMUNITY! support to wheelchair riders in developing countries. them serve as many wheelchair riders as possible. happy to assist you with the details for your project. BEST WHEELCHAIR MADE FOR RUGGED ENVIRONMENTS. that frees people to live life to the fullest! 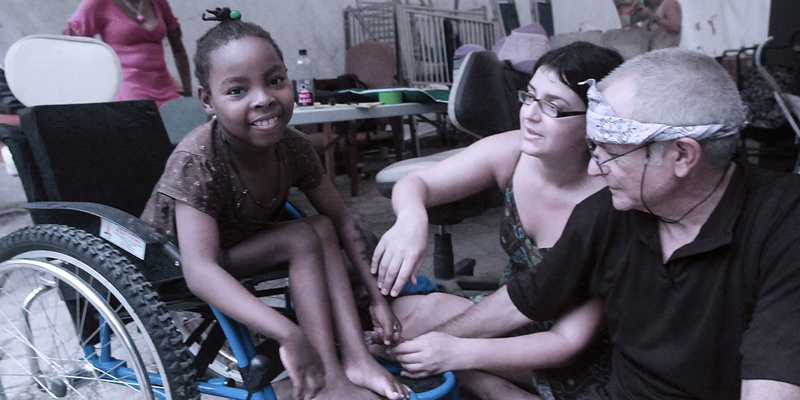 for wheelchair riders who live in the worst of conditions around the world. In the wheelchair design process, each design requires the production of 3 to 6 prototypes before all bugs are worked out. We currently use rapid prototyping for all but our initial prototypes. We currently have 3 designs on the drawing board! From 2009-2014, Whirlwind, working in partnership with the World Institute On Disability (WID) and the Coalition for Independent Living (CIL) in the Republic of Georgia, provided technical assistance in the development of a sustainable RoughRider wheelchair production and repair facility. HELP FUND WHEELCHAIRS IN THE U.S.A.
Whirlwind has created The Frank Barham Memorial Fund, in memory of musician, wheelchair user and disability advocate Frank Barham. With an initial pledge of $100,000 over 4 years from Frank's wife Adriana, this fund will be used to help fulfill Frank's dream of subsidizing RoughRiders for individuals unable to afford them. Humanitarian Assistance to over 60 Countries since 2008! At Whirlwind, we're always open to exploring new technologies and we put users at the center of the design process. Our goal is to develop sturdy, affordable, sustainable lifelong wheelchairs. We utilize best business principles to keep our internal costs low while making the greatest impact with the resources we have. We also identify and team up with local disability NGOs (nonprofits) in their countries to develop programs that can lead to their full integration and participation into their communities. Our team of wheelchair designers develops a wheelchair prototype design brief with a budget. After that its off to the executive director for review and approval. For projects with a social component, we develop the program activities and budget in close collaboration with our disability NGO partners. During an internal review process, Whirlwind determines whether the prototype design brief will get funded by Whirlwind or if we will seek external funding through grants and donations. For social projects, we most often apply to foundations or government agencies for funding. When supporting the implementation of a wheelchair project, we utilize rapid prototype development strategies. After several iterations of a successful design, we explore our options for building sustainable, scalable solutions for a small local wheelchair manufacturing company. Social projects are implemented according to a timeline that we have agreed upon with our local disability NGO partner. They usually have their own budget from the grant which they are responsible for using and accounting for according to project needs and the funder's reporting requirements. The final evaluation of a wheelchair design before it is put into production is based on extensive field testing and user feedback. After any additional refinements that may be necessary, the design is released for production. We generally report quarterly on our social projects, measuring performance against a "logical matrix" of goals and objectives that was developed as part of the original project proposal. We’ve got many different ways you can do something fun and meaningful to help us in our mission around the world. 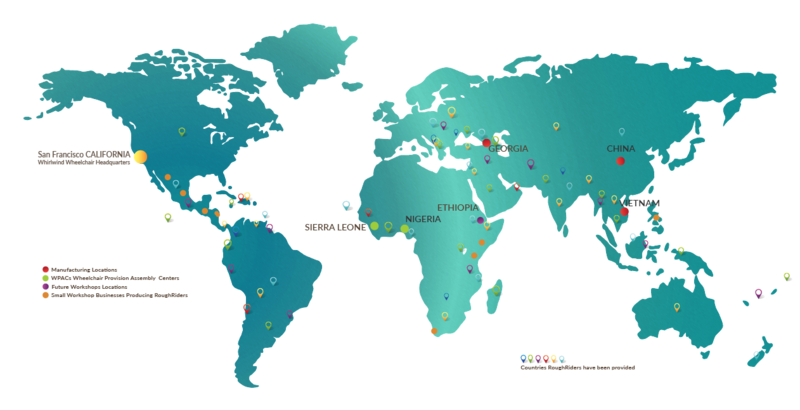 We promise friendly faces and encouragement to know you’re making an impact on a global scale. Enter your email address to receive monthly updates and discover more about what how Whirlwind is changing the world!